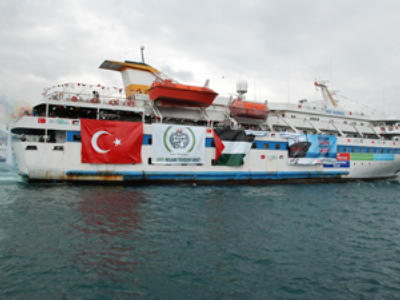 Although the Gaza flotilla confrontation was weeks ago, many continue to debate whether or not Israeli actions in Gaza are justifiable. Mich Levy, a founding member of the International Jewish Anti-Zionist Network is both Jewish and pro-Palestine. Levy argues that Israel is an apartheid state, segregating Jews from Arabs and oppressing the Palestinian people. Richard Hellman, the founder the Christian's Israel Political Action Committee (CIPAC) disagreed. “It’s absurd to mention Israel and apartheid in the same breath,” said Hellman. Hellman spent a number of years living in Israel and said that as a Christian he observed Israel as a state that protects human rights better than any other nation in the Middle East. 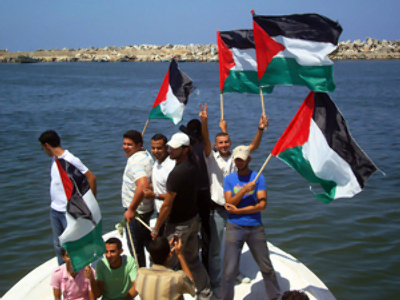 He argued that Hamas is truly the oppressive force in the region. “It’s a phenomenon to think of Israel as not being able to be defined in some kind of oppressive state; apartheid being a very good way to define that,” said Levy. Like Hellman, Levy also spent time living in Israel. She argued that apartheid is visibly present throughout the colonized Palestinian regions, Gaza and the West Bank. “There are different roads in the West Bank, roads for Jews that lead to settlements and roads that are Palestinian. There are differing accesses of water; there are different accesses of land rights. If you look at every act of basic freedom and dignity; being able to access ones resources, being able to get to employment, being able to get to one’s own property in order to tend one’s own land. Every aspect of life is dictated by the separation between Jews and Palestinians. So, it’s hard to define that as not an apartheid state,” said Levy. Hellman disagreed, arguing that the separation is a necessity of security in the region in order to prevent attacks by Hamas. Israeli stewardship is as good as it was for its own people in pre-1967 Israel, argued Hellman. He further argued that if a Palestinian state were in power, it would be an apartheid state and force the removal of the Jewish people from Israel. “We have more than 42 percent of Americans who believe that God gave the land of Israel to the Jewish people. So, we have a great wellspring in the United States. Particularly in the House of Representatives and in the Senate, they support Israel not because they are great lovers of Israel or Zionists, but because they know Israel is a sister democracy which respects human rights, which has made great contributions to the whole world in terms of technology and medicine and economics and much more. So, this is not an anti-Arab or anti-Palestinian screen,” said Hellman.